A new report claims that WhatsApp Payments could be made available to all users in India as early as next week. WhatsApp is said to be partnering with HDFC Bank, ICICI Bank and Axis Bank to process transactions. A new report claims that WhatsApp’s peer-to-peer payments platform might finally move out of the beta phase and roll out to all users in India as early as next week. The report from BloombergQuint states that WhatsApp is partnering with HDFC Bank, ICICI Bank and Axis Bank to process transactions and that SBI will join in once it has the required systems in place. WhatsApp Payments, based on the UPI platform, is currently available as a feature to Beta users of the Android app in the country and has been spotted functioning several times till now. According to the latest report, Facebook-owned WhatsApp was looking to officially roll out the Payments feature once it had four partner banks in its kitty, but has decided to speed up the launch because “its rivals were racing ahead”. The report also reveals that when the pilot version of WhatsApp Payments went live in February, it was made available 1 million users in the country. The test service has only been opened for peer-to-peer payments as of now and merchant payments are not yet allowed on the platform. 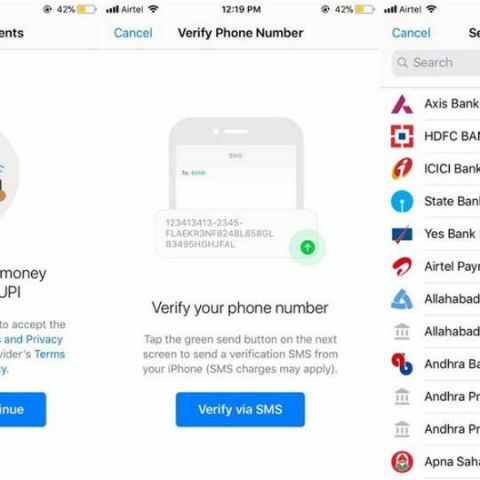 To make use of WhatsApp Payments, both the parties in the transaction need to be using the same mobile numbers they use for their UPI bank transactions. Is WhatsApp planning to offer P2P payments in India? Once rolled out widely, WhatsApp Payments could pose as a big threat to the likes of Paytm, Google Tez, PhonePe and the government’s own BHIM platform which is anyways struggling to retain users. The Paytm wallet reached 200 million users in February this year and the platform is targeting around 500 million by 2020. Google Tez, in comparison, is a fairly new UPI-based transaction platform which currently registers 16 million monthly active users. WhatsApp, with its over 200 million monthly active users in the country, could be a serious challenger to these existing players in the market given its immense popularity. Also, the introduction of WhatsApp Business also opens up a possibility for WhatsApp to get merchants payments going, not that the company has announced any such plans.